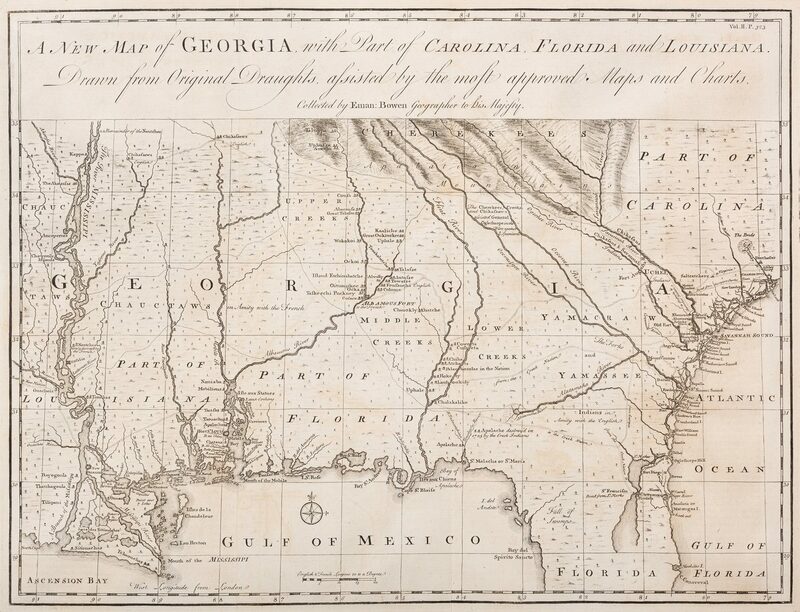 "A New Map of Georgia, with Part of Carolina, Florida and Louisiana. Drawn from Original Draughts assisted by the most approved Maps and Charts" by Emanuel Bowen, London, 1748. 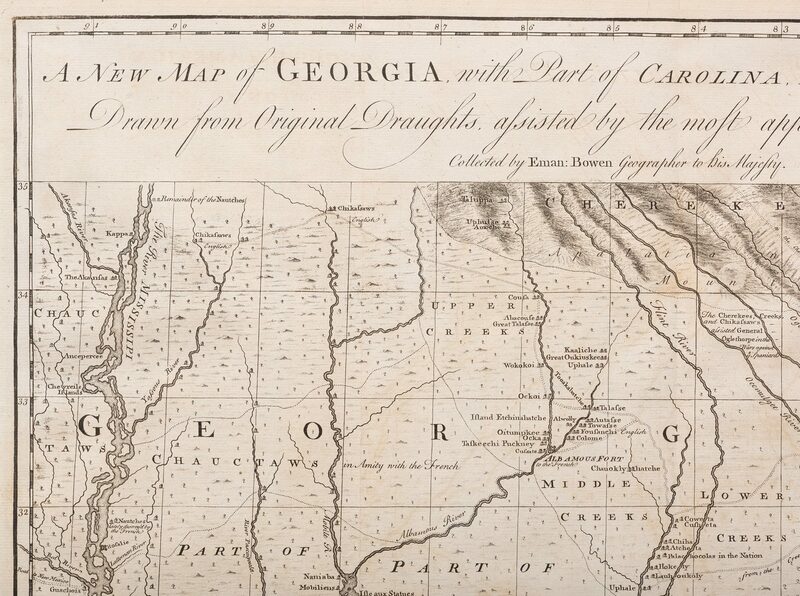 From "Navigantium atque Itinerantium Bibliotheca, or Complete Collection of Voyages and Travels" by John Harris. 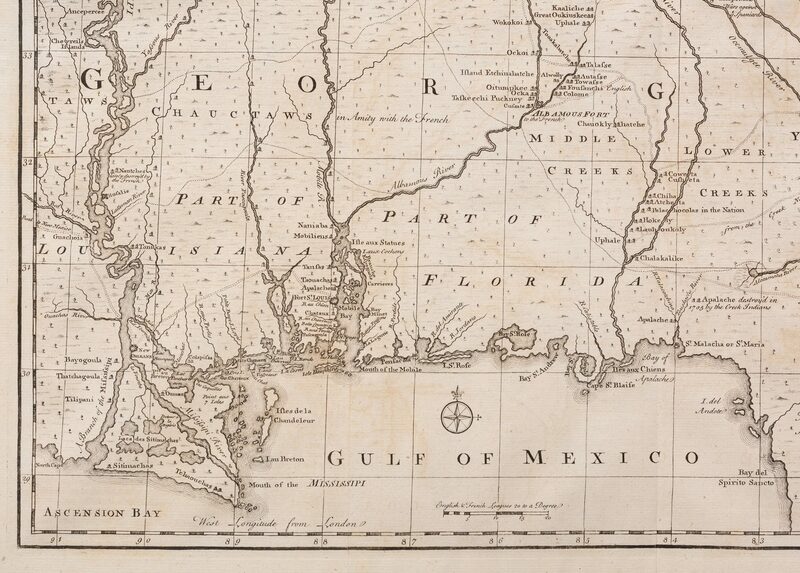 Copper plate engraving of the Georgia colony, Florida, the Carolinas, and Louisiana, depicting early cities and towns, including St. Augustine and Charleston, and coastal Carolina settlements, mountains, rivers, and other bodies of water, swamp lands, and other points of interest including the Indian Tribes friendly or hostile to the English, and the chief trading paths of the period. 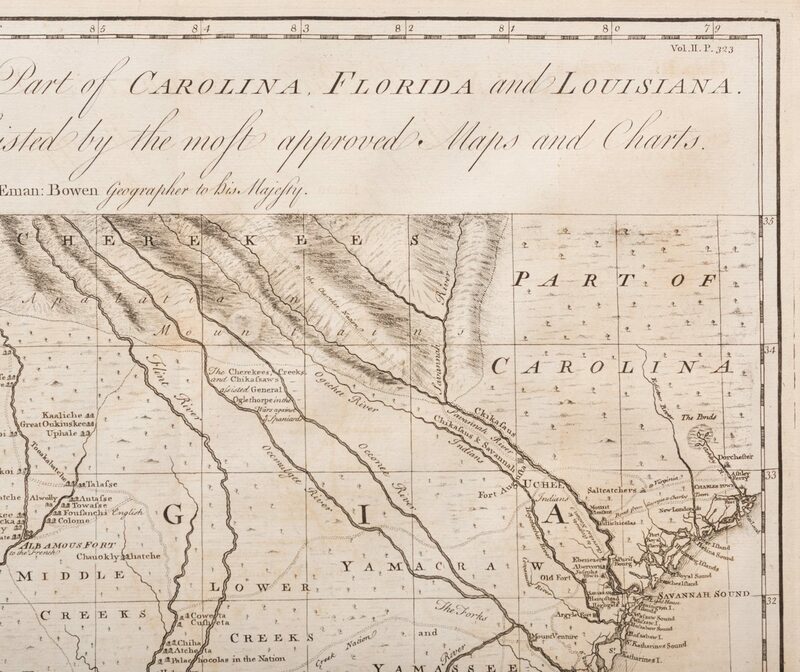 Title, centered above map, scale of miles, center left, below map. 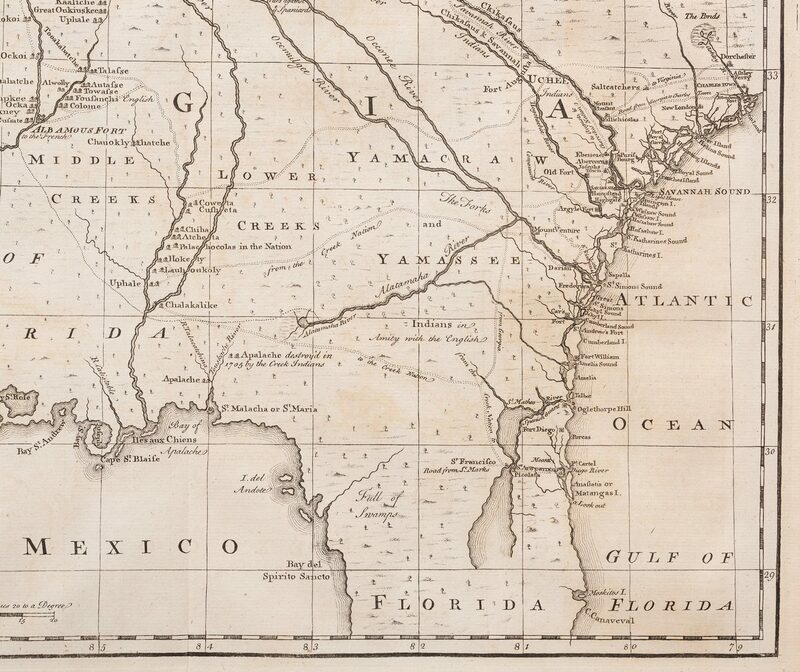 "West Longitude from London", lower left of map. 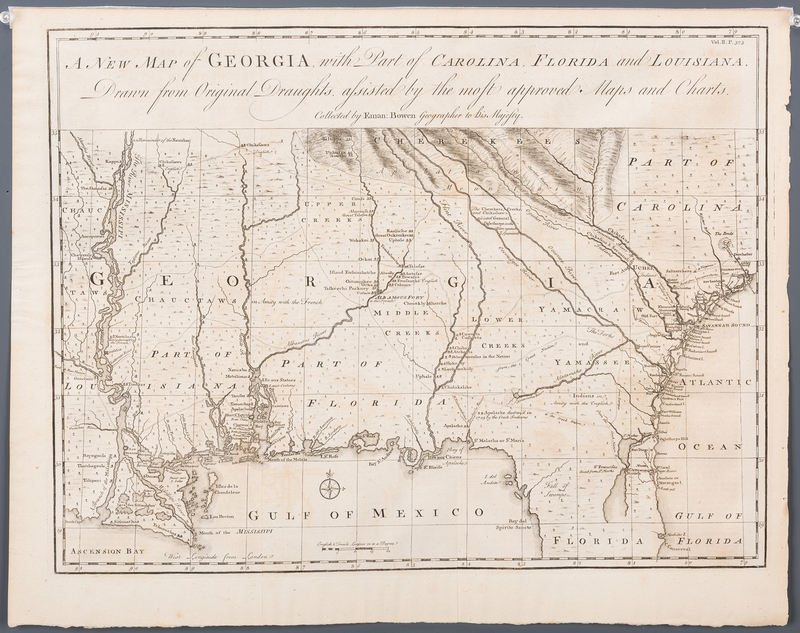 Map surrounded by scale notations and line border. 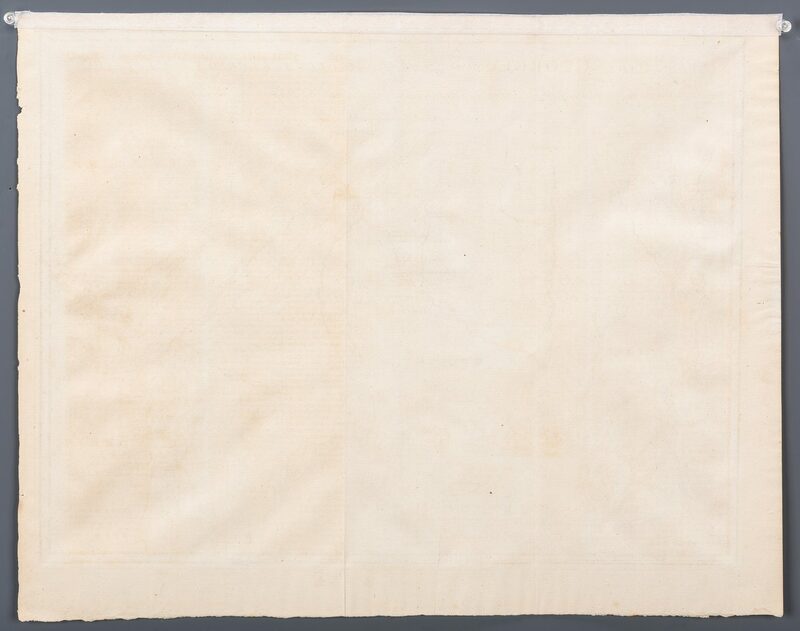 Image – 14 3/8" H x 18 7/8" W. Plate – 14 3/4" H x 19 3/8" W. Sheet – 16 3/8" H x 20 5/8" W. Provenance: Property of a private Knoxville, Tennessee collection. CONDITION: Overall good condition. Toning with impression of map visible on surface. 3/4" x 20 5/8" strip of white archival tape adhered to surface from previous hinge mounting to matte. Few minute foxing spots and 1/2" area of dampstaining, perimeter of map. 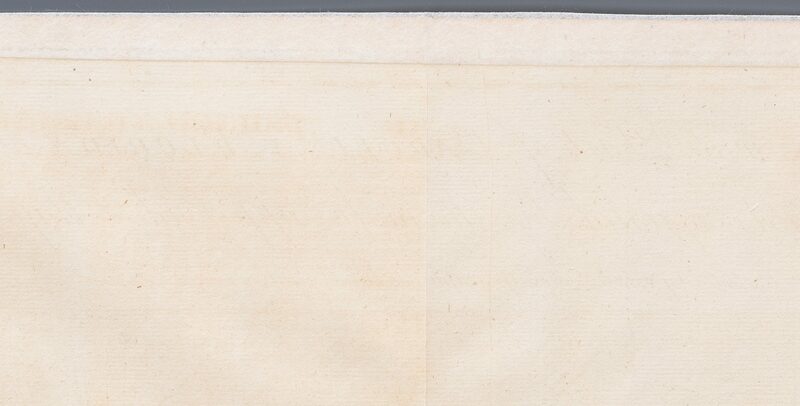 Toning impression of text pages, visible en verso of map.